Flat roofs have a reputation for being problematic. However, that does not need to be the case. 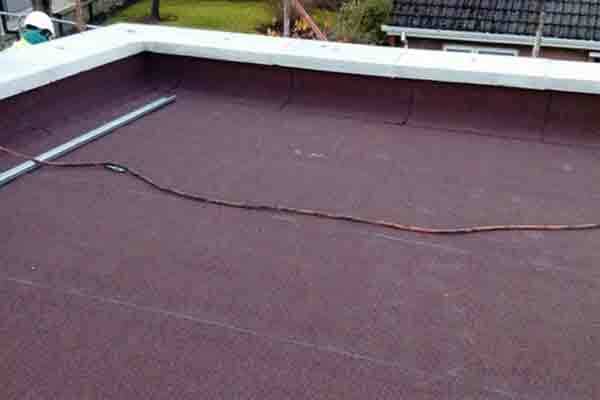 The main issue facing owners of a flat roof property is drainage. You need to consider what happens to all the water that lands on your roof when it rains. If the water doesn’t drain away properly it will pool on the roof leading to damage and water ingress. This can be avoided by starting off with a good design which will ensure that all the appropriate measures are taken to avoid drainage problems. It all comes down to planning, design and high-quality workmanship. If you have decided to go for a flat roof, it is important that the plans are discussed early on with everyone who will be involved in the process. This should include the designer, as well as whoever is going to be providing the materials and installing it. This ensures that everyone is working together to towards the success of the project. There are special features needed for a flat roof so these will be integrated into the design right from the start. Access to the roof should also be built into the design to ensure it can be inspected regularly and any repairs can be carried out safely and easily. Good drainage is the key to avoiding problems and expensive maintenance and repair costs. A flat roof should never be completely flat. Good design ensures that the gradient or “fall” of the roof is at the correct angle to allow water for flow away. The other important part of the design is an efficient method of taking the water away. This is achieved by having a good system of gutters and drainpipes to remove the water efficiently. Even on a small roof there should be a minimum of two drainage points, with the number increasing proportionality depending on the size of the roof and expected levels of rainfall. Gutters can be angled to match the fall of the roof to ensure everything, quite literally runs smoothly. Alternatively, a dropped gutter system might be more appropriate, depending on other aspects of the design and property. Installation should only be carried out by a reputable company who are suitably experienced, qualified and certified to carry out the work. This will ensure that all aspects of the project, from the design to installation, comply with the appropriate building standards. If your roof is well designed it should cut down the need for expensive maintenance and repairs. However, even a well-designed and properly installed flat roof still needs to be looked after. Don’t be tempted to skip regular maintenance and inspections as it will save you time and money in the long run by avoiding major repairs. Under normal circumstances you should have your flat roof inspected twice a year. However, there may be additional factors that would require more regular inspection. This would be the case if there were a lot of trees overhanging the roof as the debris from leaf fall could build up more quickly leading to blocked gutters. Episodes of severe weather might also mean additional inspections are required. Flat roofs have a bad reputation. But as long as you work with a team of professionals who can advise you and carry out the work to the highest standard they don’t need to be a source of problems.